I think once you block it and the yarn relaxes, the difference between the older and newer yarn will be less apparent. 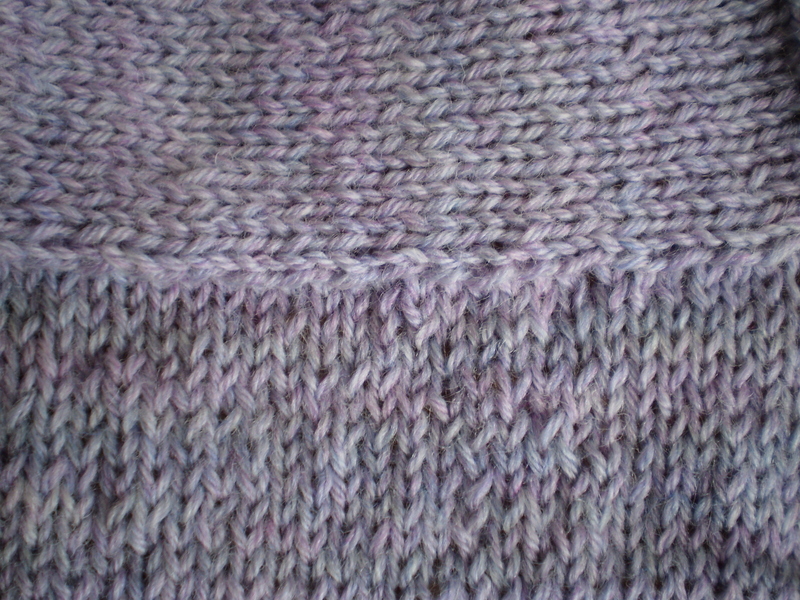 I just had to frog an entire sweater to re-knit (the pleasure was mine, groan). I had a lot of success of winding the unraveled yarn into hanks, soaking it in cool water with Woolite for about 10 minutes, and letting it dry, straight and as unrumpled as new. It makes a world of difference before blocking, but I can’t say if the blocking would similarly take care of the problem. I’m inclined to say no because you use more yarn when it is bumpy and might even change your gauge a little, which is hard to completely fix from blocking alone. Good luck! It’s fun to see your progress with this project. Same problem, but I bought the yarn all together. 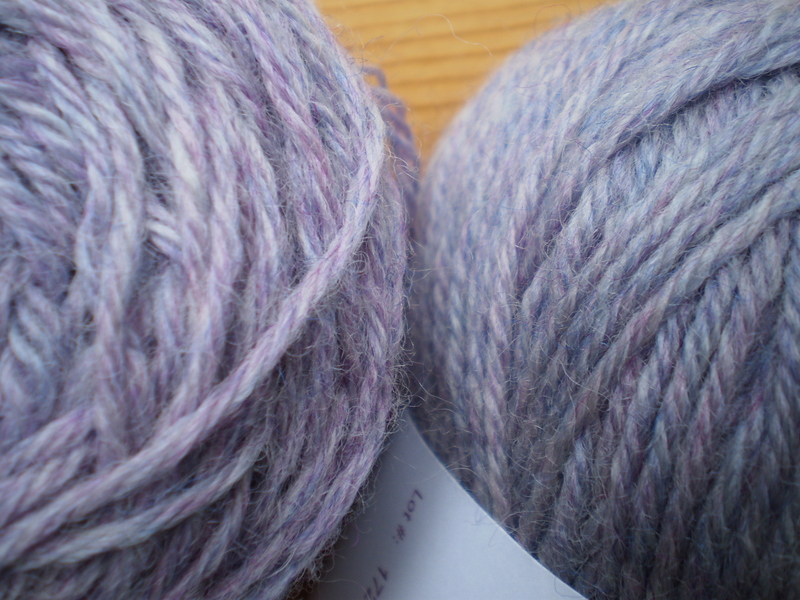 Unless you looked closely you couldn’t tell the yarn was different. And actually, ALL had the same dye lot!!! One sleeve was brighter than the other. But, it only shows up really in photos. In person you just don’t notice it. I think your solution is going to work out, good luck on the blocking. I think I mentioned this a few days ago. 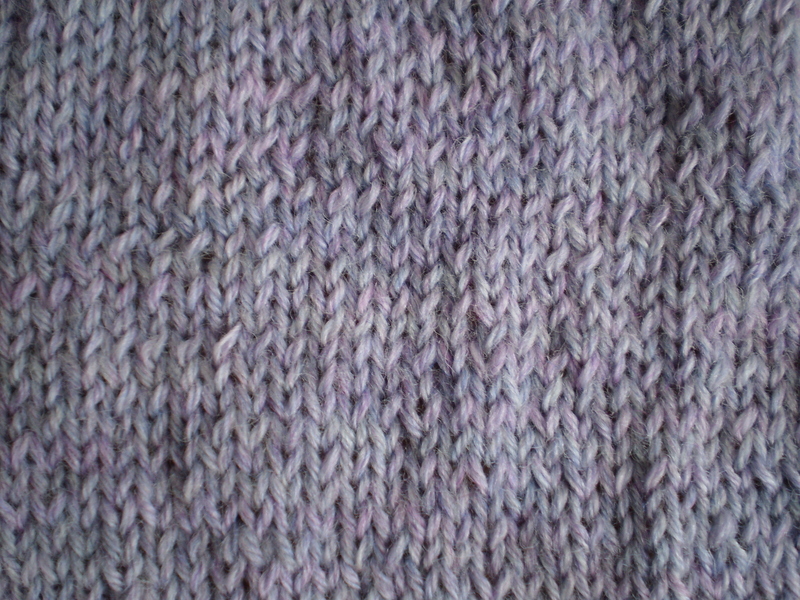 And yes- once blocked, the frogged yarn will relax nicely with the new yarn. It looks great, though!